Both Microsoft and Apple recently revealed the latest versions of their best-selling tablets. Microsoft’s Surface Pro 4 will launch Oct. 26, and the iPad Pro will hit store shelves next month. If someone on your holiday shopping list is hoping for a new tablet this year, check out our comparison of the Surface Pro 4 and the iPad Pro to help you decide which one you should get. If you want to stick with Apple, we also compared the new iPad Pro and the iPad Pro 2. The Microsoft Surface Pro 4 is a tablet that’s designed to replace your laptop. The mini mobile workstation is 30% more powerful than its predecessor (the Surface Pro 3), features stereo speakers with Dolby Audio Premium and, much like a traditional laptop, can run Windows and the full suite of Office products. The iPad Pro is a tablet Apple calls “thin, light and epic.” The device has an A9X chip that Apple touts is 1.8 times faster than that of its predecessor (the iPad Air 2). 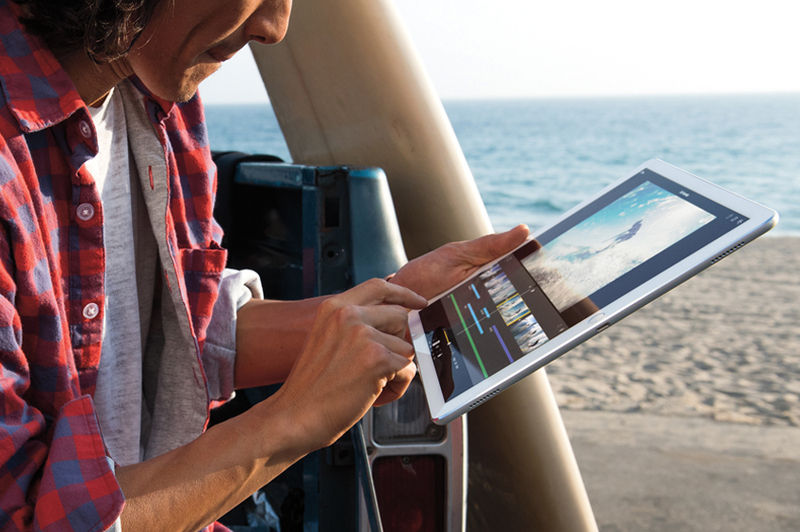 The iPad Pro features a screen with 5.6 million pixels and blasts sound through four high-fidelity speakers. The Microsoft Surface Pro 4 has a 12.3-inch screen and weighs 1.73 pounds. Apple’s iPad Pro has a slightly larger screen (12.9 inches) and is a little lighter at 1.57 pounds. 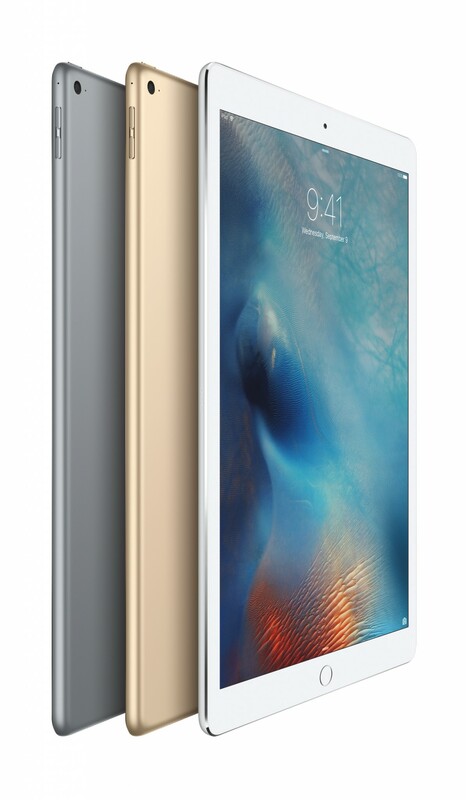 The iPad Pro is also thinner: 0.27 inch thick, compared to the Surface Pro 4’s 0.33 inch thickness. The Microsoft Surface Pro 4 isn’t the only tablet from Microsoft. See how the Surface Pro 4 compares to its predecessor, the Microsoft Surface Pro 3. But while features are crucial, as is the case with most consumer decisions, no tablet purchase is complete without a consideration of price. You can get your hands on the smallest capacity iPad Pro (the 32GB) for $799. The 128GB version will run you $949, and the 128GB model with a cellular connection will cost $1,079. The 128GB Microsoft Surface Pro 4 with Intel Core m3 and 4GB RAM starts at $899, and prices increase incrementally based on the storage capacity and processor you choose. The 256GB Intel Core i5 16GB RAM version is $1,499, for instance, and the 256GB Intel Core i7 8GB RAM model is $1,599. To make these tablets even more laptop-like, you can purchase a keyboard (sold separately) for each. The Microsoft Surface Pro 4 Type Cover costs $129.99 from the Microsoft Store. The Smart Keyboard for iPad Pro will cost $169 from Apple. One area where price also differs for these tablets is with regard to styluses. The Microsoft Surface Pro 4’s Surface Pen stylus (which even has an eraser) is included; the iPad Pro’s Smart Pencil will be sold separately for $99 from Apple. So when can you get your hands on these fancy new tablets? 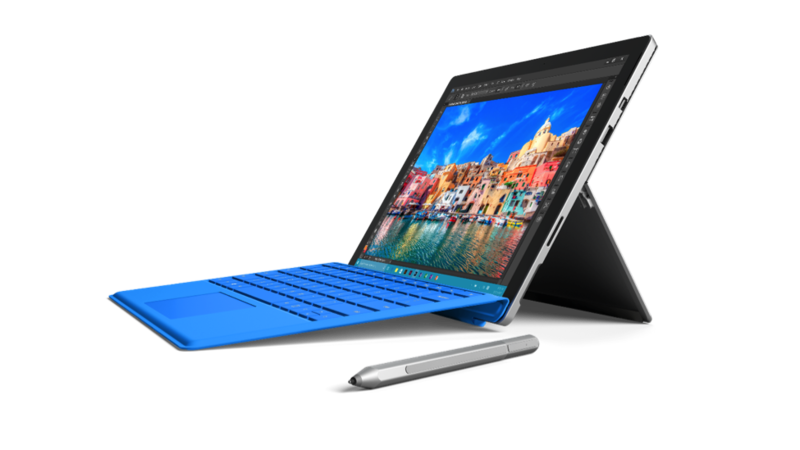 The Microsoft Surface Pro 4 is available for preorder and will ship by Oct. 26; the iPad Pro will be available next month. That means each will land just in time for the holiday season. We recommend the Microsoft Surface Pro 4 for students, as its stylus is specially suited for note taking. The entry-level version of this product is also appealing for cost-conscious consumers: you can purchase the 128GB tablet with included stylus ($899) and the keyboard ($129.99) for a total of $1,028.99. Compare that to the iPad Pro 32GB ($799), Smart Keyboard ($169) and Smart Pencil ($99) for $1,067. As for the iPad Pro, we especially recommend Apple’s tablet for creatives. Pair the tablet with the Apple Pencil and enjoy drawing and sketching with the ultra-responsive stylus, which can even tailor line weight according to user pressure.